It has been another record breaking week for parkrun. Last weekend over 180,000 people took part in a parkrun in the UK. I can remember when a thousand starters in a parkrun was considered sensational but last week five venues - Bushy Park, Poole, Southampton, Cardiff and Clapham Common - all had fields of over a thousand. Part of me is delighted that the numbers keep going up and up but a little part of me thinks, “oooh, it’s starting to get very crowded!” I hoped that there wouldn’t be too huge a field when I went to Brentwood. Brentwood is in Essex, about twenty miles to the northeast of Greater London. This is an area which was, for many centuries, covered in forest. The name Brentwood is thought to derive from “burnt wood” - a reference to the ancient craft of charcoal burning. Brentwood began life in the twelfth century as a small settlement in a clearing in the forest. The fledgling medieval town became popular with pilgrims travelling from the north and east of England on their quest to worship at the shrine of St Thomas à Becket in Canterbury Cathedral. Brentwood’s then parish church was in South Weald, some distance from the streets of what is now the town’s centre. Royalty passed through Brentwood in the 1390s when King Richard II and his entourage made their pilgrimage through the town on his way to worship at Canterbury Cathedral. He rested at an inn in the High Street and his personal emblem, the white hart, became the name for that inn. To show how times have changed the White Hart is nowadays the Sugar Hut nightclub and popular with the TOWIE crowd! Brentwood grew slowly over the centuries, acquiring a grammar school in 1557, a hospital in 1853 and its own football club, Brentwood FC, in the late nineteenth century. The town grew rapidly in the twentieth century increasing its population from around 5,000 in 1900 to around 80,000 now. 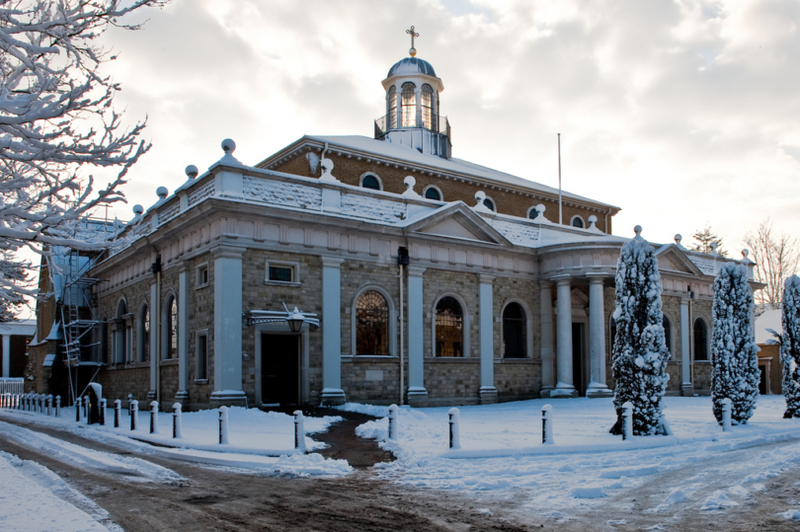 A surprising fact about Brentwood - it has a cathedral. It is a Roman catholic cathedral. It was consecrated in 1917 and heavily rebuilt in the Italianate style around 1990. Brentwood parkrun doesn’t actually take place in Brentwood. It takes place in the Weald Country Park, just on the outskirts of town. This place was originally the grounds of Weald Hall, a fine country house. It was originally a deer park, somewhere for the nobles to go hunting, but in the eighteenth century the grounds were extensively landscaped in the style of Capability Brown, with fine vistas, avenues of trees and lakes brimming with fish. Like many old country estates Weald went into decline in the twentieth century and the house was eventually demolished in 1950. It survives only in old prints. The estate was taken over by Essex County Council who converted it into a country park of around 500 acres. The eighteenth century landscaping is still there so it would be a pleasant spot to spend an hour or two, enjoying the scenery and the local wildlife. The downside of parkruns in country parks - you normally have to pay for parking. The upside - there are nice facilities near the start/finish. The parkrun course is normally a single lap of a figure of eight route. Because a bridge was closed they have had to alter it to a loop around the top field (about 1k) then a loop of about 3k through the woods and fields the other side of the lake. You then come back to the top field and do the first 1k in reverse (including having to run up a pretty steep hill!) It has the reputation of being one of the tougher courses in the southeast. I had a little jog round before and soon realised that this was not my type of course - undulating terrain, bumpy and uneven ground, plenty of sticky mud. Brentwood parkrun has been going for about four years and averages around 130 starters each week, although lately the numbers have been going up (192 this morning) Conditions today were dull and grey and rather cold, though not as cold as it has been. We started on an up hill then round the top end of the field and then down the steep hill. I seemed to be well down the field at this point, there looked to be at least twenty people ahead of me. I picked up pace and quite a few positions in the second kilometre which was mainly uphill through some woods. It was a tricky course, twisitng and undulating with tree roots to avoid and patches of mud. I was relieved to come back down past the lake and realise that the finish was not too far away, although we would now have to contend with that steep up hill. I got there in the end. 21:51 was pretty slow for me but fifth place was not bad - I hadn’t realised I was that high up in the field. Someone was taking photos today so here’s one of me coming down the hill just after the start and then coming back past the lake towards the end. So that was Brentwood. It’s one of those courses I’m glad to have done but am also glad that I don’t need to do it again! But do check out Weald Country Park, perhaps in summer when the ground’s dry. It’s a lovely spot and there are nice facilities there as well. My statistics for today - that was parkrun venue number 192. I was first in my age group and second overall on age graded scores. I shall finish with a YouTube video of the course. The person who took this one must have been very fast as there is no one ahead of him in the run!